ACROSS OCEANS ARTS joins CCTA’s worldwide movement INVITING YOU to JOIN in the ACTION. 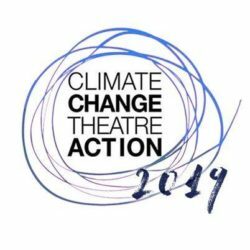 A 2 day Performance Action devising stagings for 5 plays chosen from the 50 plays commissioned by Climate Change Theatre Action (CCTA), as catalysts for dialogue & engagement in climate change issues. Sunday Nov. 12, 6:30pm – MEET the PLAYS, DEVISE STAGINGS. Monday Nov. 13, 6:30pm – PERFORM, PLAY, TAKE ACTION, RESPOND. …relaxed, completely accessible and so serious there’s bound to be laughter. REGISTER & BE a PLAYER or RESERVE your place to witness. Free/donate what you can at the door or to CanadaHelps. Across Ocean Arts is directed by Maxine Heppner.